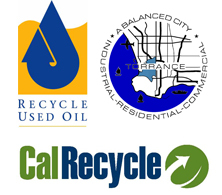 Celebrate America Recycles Day in Torrance! Every year on November 15th, tens of thousands of people organize and attend recycling events all over the U.S. in celebration of America Recycles Day (ARD). So far this year, over 2,300 recycling events have been organized and registered on the ARD website by environmentally-minded citizens from all across the country. 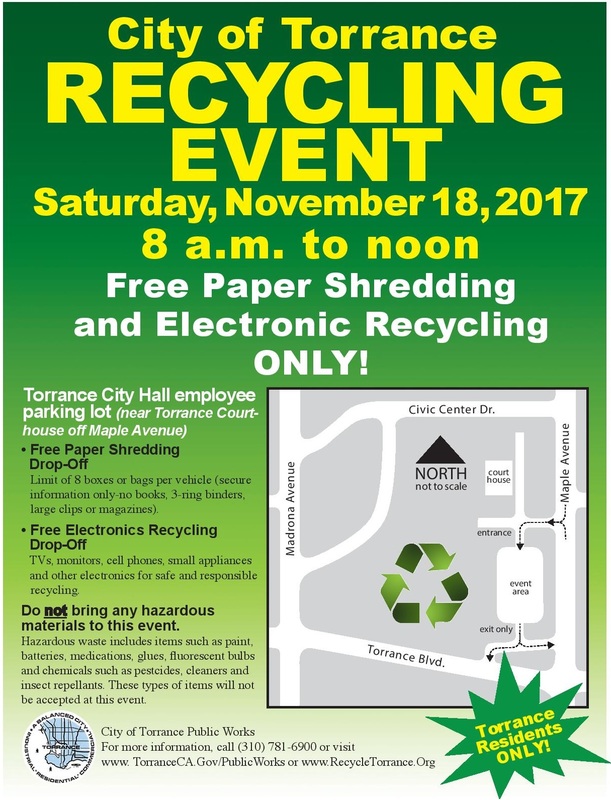 Residents of Torrance have an opportunity to get into the environmental spirit during the City of Torrance‘s annual Torrance Recycling Event on Saturday, November 18th. From 8am–12noon, Torrance residents can recycle their electronic waste (e-waste, like computers, TV, cell phones, etc), and get free paper and document shredding services. To learn more about this great community clean-up event and register to attend, visit Keep America Beautiful’s America Recycles Day event page. Don’t live in the City of Torrance? Don’t worry! Simply enter your zip code on the America Recycles Day ‘Upcoming Events’ page to find an ARD event near you.